If can be difficult to remember all your various passwords since the rules on some web sites require specific characters be used, while other prohibit them, creating a seemingly endless array of possibilities. The good news is you don't need to remember them all anymore -- any one of the password managers listed below can store hundreds of passwords and a few of the tools even offer ways to increase the security of your passwords. This free software received a 5-star rating from CNet, and is designed to be a one-stop tool for all your passwords and even credit card information. The LastPass system is easy to use - you simply save the login and password for a desired site and when you revisit the site LastPass will automatically fill in the information and log you in. If you use the Cloud-based option, you are kind of 'stuck' with the service since all your local passwords are deleted (which is a good safety feature). However, you can always export your password list from the Cloud if you decide to go with a new service. Two powerful features of Dashlane are the password wizard that helps you create memorable but virtually impossible-to-guess passwords and a default setting that automatically logs you out of a session after 30 minutes of inactivity. The software, which received an excellent rating by PCMag, includes a nice extra feature for credit card information that allows you to color-code and input the bank name for the card. This feature makes online shopping easier since it reduces the chance of error when selecting a card for the purchase. If you lose your master password it cannot be recovered. Rated excellent by PCMag, like its name implies, the low-priced subscription-based RoboForm Everywhere 7 can be used on everything from phones and mobile devices to desktop computers. One of its core components is its capability of syncing passwords across multiple devices. This is extremely handy feature if you access web sites, like your bank account, from multiple devices. Just like with Dashlane, if you forget your master password, it cannot be recovered. If you use any of Norton Internet Security software, you already are familiar with the password manager feature included in the software. 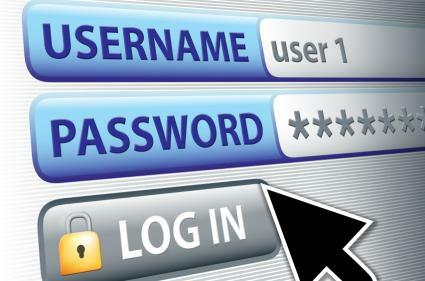 Now, though, anyone can download and use Norton Identity Safe, a free password management tool. The program, called efficient and effect by PC World, uses a vault, which you can access from your browser bar, to store all your logins and passwords. The process is fairly automated - when you surf the Web and need to use a login and password, the manager will launch a prompt asking you if you want the information saved to the vault. One of the weaknesses of password managers is they create a situation where you may never remember any of your passwords, since most, if not all password management tools, require only one password to sign in (then you can access all your passwords). However, you can build better passwords by having a base password and then creating an easy-to-remember system when adding new logins to the base. Using this technique, you can actually remember hundreds of passwords without the use of any software.